Come and experience Africa in the heart of a Boland town. Amazink live presents an excellent opportunity to meet the locals, be introduced to XHOSA culture, eat traditional food and sing and dance with someof the best. Local talent. This lively, fresh production from the Amazink team showcases a powerhouse of versatile performers in this interactive show that will have you rolling (and dancing) in the aisles. 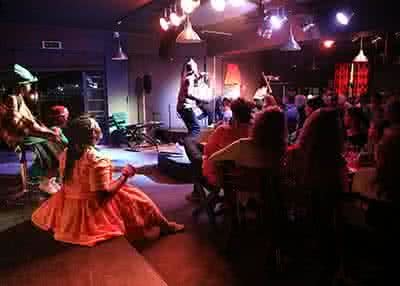 Amazink Live is much more than a dinner - theatre performance, it`s a uniquely South African experience performed in the first township dinner theatre restaurant in the country.